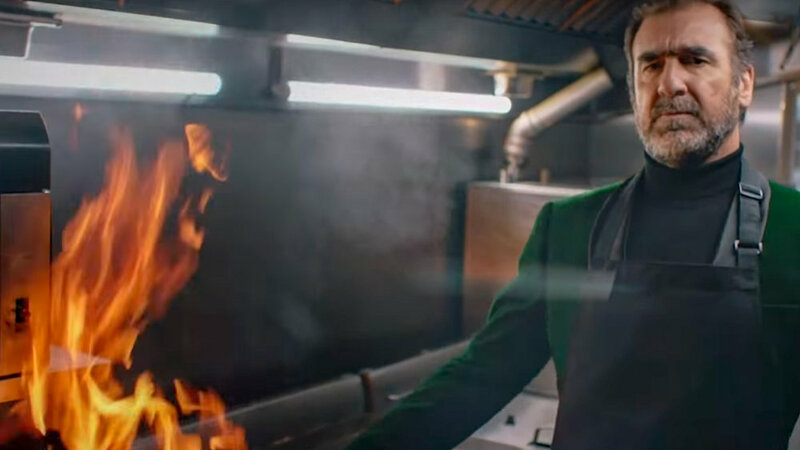 We received a call from our client, Solent Forts, who advised that a production team will be filming a short film called ‘The Brexit Bunker’ for Paddy Power to form part of a digital campaign and that a VIP was going to be involved. 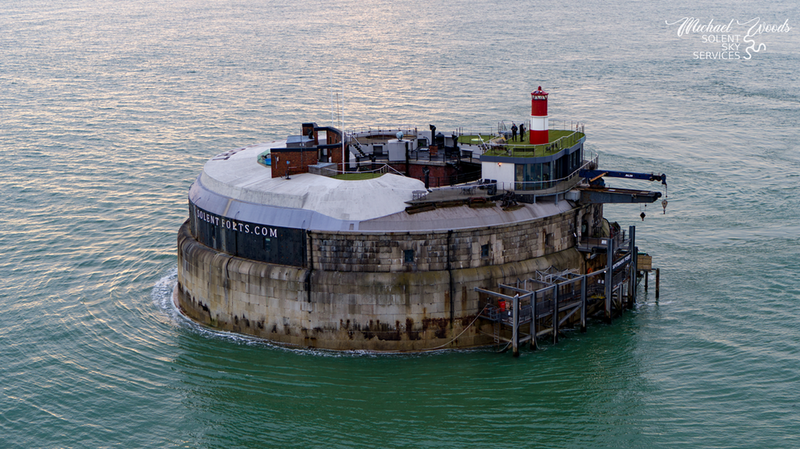 Mike booked an initial meeting with the production company, Radical Media and ended up spending a day on Spitbank Fort getting to know the team and reviewing the requirements for aerial footage. The film crew undertook their initial recce ready for storyboarding and to plan their shoot. We soon found out that the VIP was none other than the legendary Eric Cantona! Soon after our initial meeting we received an instruction to proceed. It was then time to get the kit ready for the day and assemble the right team for the job. Here’s a few photos taken the night before when checking and packing our kit. Our client provided us with a shot list and confirmed we need to film in 6k Cinema DNG. Shooting Cinema DNG on the Inspire 2 is actually not far off shooting on an Arri Alexa Mini which is what the ground footage was shot on so made for a close match making post production that bit easier. You can read more about the camera we used here. Above is our team photo with the kit we took over with us. Starting from the left: Mike Woods, owner and drone pilot. Colin Mills, spotter. Jan Pavelka, camera operator. Jan also runs a company called Behind The Scenes Crew, they cover behind the scenes filming and photography. You can check out their website here. 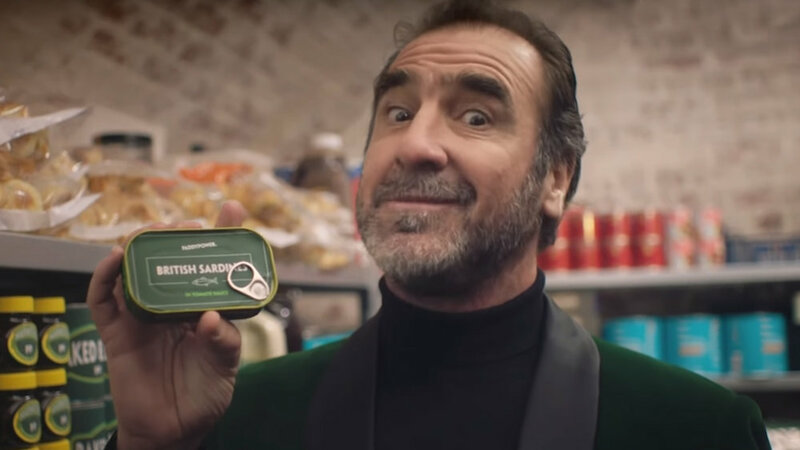 We travelled over on the boat with the Production Company, main client, director, Eric Cantona and his brothers, Jean-Marie Cantona and Joël cantona. The Cantona brothers are a vibrant and talented bunch. Meeting and working with them was a pleasure. The crew from Officer & Gentleman agency running the production were a top bunch too. It was an absolute pleasure to work with everyone involved in this production. Director Axel Laubscher pictured approaching Spitbank Fort on the first day of filming. Within the first 30 minutes onsite we had met most of the crew, grabbed a coffee and were provided with sarnies for breakfast. Got to love film sets for good coffee and food, after all who works well on an empty stomach right? The atmosphere was great! Everyone was busy with their own specific tasks and it was evident the attention to detail Radical Media and everyone involved had paid in order to get to this stage. After setting up our base camp and checking over our equipment it was time for safety briefings. Mike briefed the entire production crew, talent and staff of our flights and we confirmed how we will be communicating over the walkie talkies during the day. Our flight plans were now confirmed, permissions obtained and everyone was aware of our emergency procedures. Time to get our equipment ready. We practised each shot meticulously, worked with a body double and then undertook the real shots to be used in the final cuts. We thoroughly enjoyed working on this set. If you don’t know already your about to find out what our drone work contributed to. 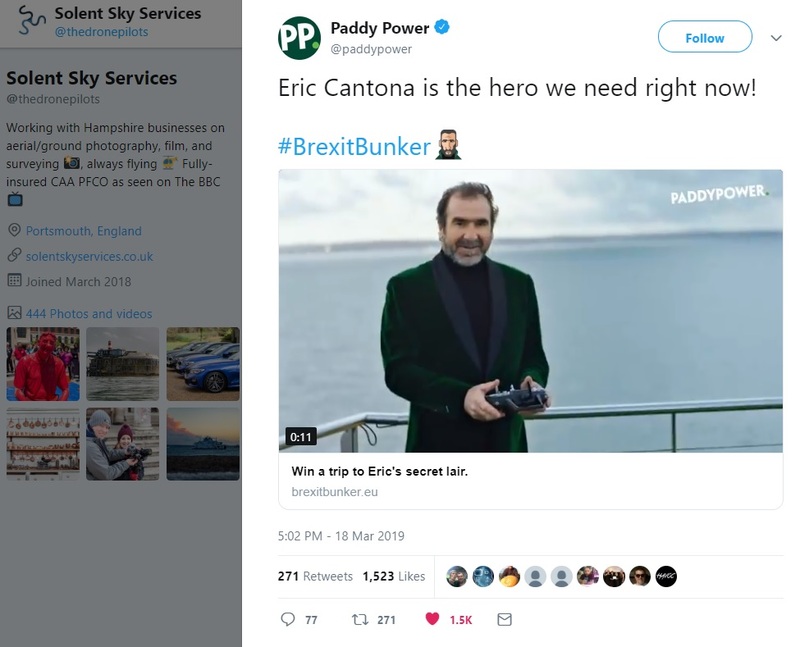 It’s for Paddy Power’s digital campaign about Brexit. 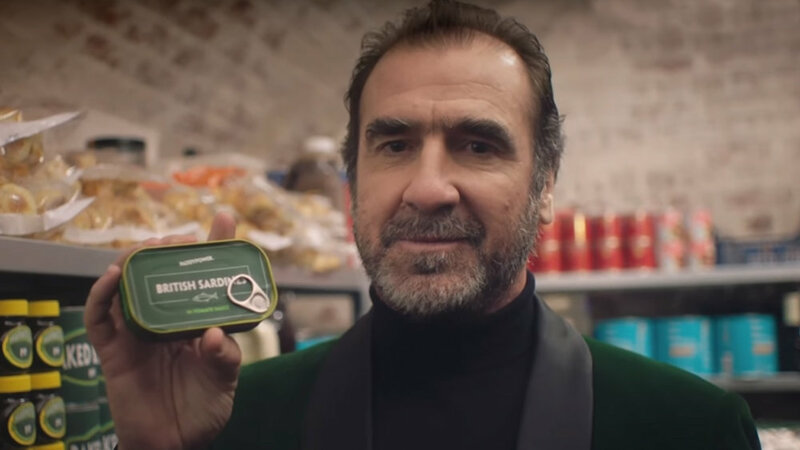 Here’s what ‘The King’ aka Eric Cantona has to say about surviving Brexit. 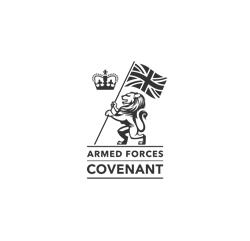 a hashflag of Eric Cantona!